Nepal is a thriving destination for a holiday or for business. 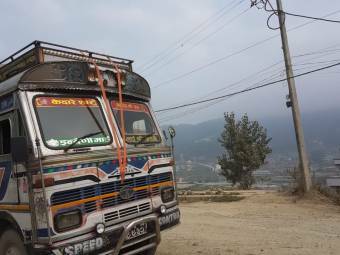 There are many NGOs supporting and working with the local Nepalese economy. The Infrastructure can be difficult to navigate, as soon as you leave main cities the landscape becomes remote and difficult quite quickly. It is worth being prepared for any eventuality, so do get in touch with RPS Partnership and we can create a bespoke travel awareness course for you. If you are heading to the mountains, we can run a remote First Aid course, including how to deal with getting sick away from home and how to deal with altitude and traveller's sickness. Contact us on info@rpspartnership.com to have an informal chat. 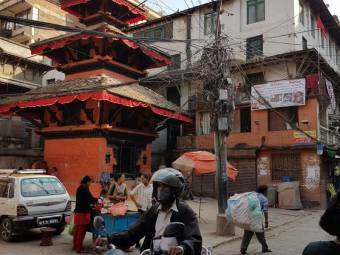 Do not drink the water, even in Kathmandu. Either drink bottled water or the cheaper option is to take water purification tables or a water filter bottle or pump. Many taxi drivers do not speak English, nor do they know where many hotels are. No matter where you are in the world, RPS Partnership can bring training to you. Are you a lone traverller or a lone female traveller or just want some travel advice? Email us on info@rpspartnership.com or contact us on +44-(0)1225 290210 for more information, we will call you back.